The Grand Lisboa Hotel is owned by Sociedade de Jogos de Macau (SJM) and designed by renowned Hong Kong architects Dennis Lau and Ng Chun Man. An impressive and iconic skyscraper, the 58-floor hotel is 260 metres tall. The casino and restaurants within Grand Lisboa were opened on February 11, 2007, while the hotel was opened in December 2008. 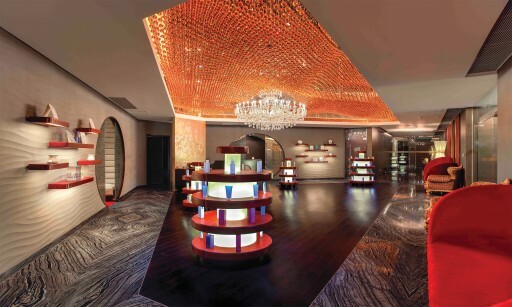 On permanent display at the Lobby of Grand Lisboa Hotel is "The Star of Stanley Ho". According to the Gemological Institute of America, the 218.08 carat (43.62 g) diamond is the largest cushion-shaped diamond in the world with excellent polish, symmetry and internal flawless D-color. The diamond, named after Dr. Stanley Ho, is a reflection of SJM's commitment to delivering ultimate luxury to its guests. 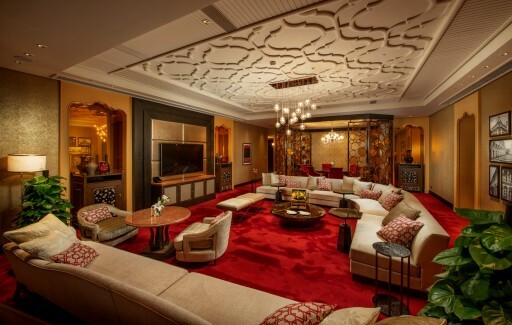 At the Grand Lisboa Hotel, we are committed to delivering ultimate luxury to our guests. An iconic building set in the heart of Macau, the hotel is testament to extraordinary elegance and luxury. With its distinctive location and architectural design, 8 acclaimed restaurants, top quality ultra luxurious rooms and 24-hour entertainment, the Grand Lisboa Hotel has truly earned its reputation as one of Asia's finest casino hotels. You will find easy access to the city's prime tourist attractions, indoor access to the legendary Casino Lisboa and the 8 acclaimed restaurants within the Grand Lisboa Hotel. Together with the impeccable service of our staff, we aim to make your stay an enjoyable one. Over 400 luxurious rooms; room size ranges from 48 to 341 square metres. 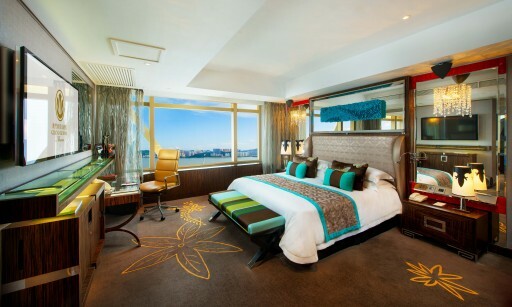 Indulge in pure luxury and comfort upon checking in to the Grand Lisboa Hotel. In each room, you will find a 40-inch Bang & Olufsen television with surround-sound effect and CD/DVD player. Each bathroom also has a 60cm diameter rainforest shower, Turkish steam bath, Jacuzzi and built-in-mirror TV. The Grand Lisboa Hotel is one of the few hotels in Macau that offers this full range of amenities in every hotel room. Guests who like an in-room sauna can choose from our selection of corner rooms or suites that come with an in-room sauna in addition to the steam room. Guests who enjoy greenery and outdoor sun decks can choose from our exclusive corner rooms or suites with outdoor sky garden terraces. Moreover, we offer you free local calls and in-house movies as well as access to a complimentary mini-bar. Grand Lisboa also boasts award-winning dining with the Michelin three-starred Robuchon au D?me atop the hotel; The Eight, also a three-starred Michelin restaurant, serving exceptional Cantonese cuisine; The Kitchen, a Michelin one-starred steakhouse and Casa Don Alfonso, an authentically Italian restaurant from Southern Italy. 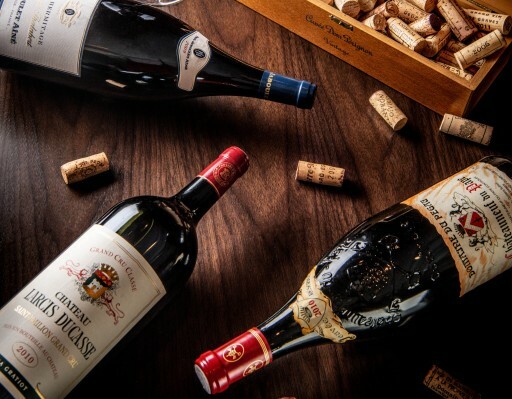 In addition to offering outstanding cuisine, the hotel offers an extensive wine collection of more than 17,000 labels, most of which are rated over 91 by Robert Parker’s Wine Advocate.